Since the 1970′s, Charo has been an integral proponent of contemporary Latin music. She is a musician, singer, comedienne, actor, and performer. Twice voted Best Classical Flamenco Guitarist in the World by Guitar Player Magazine, Charo is ready to continue to amaze. Born in the town of Murcia, Spain, Charo learned to play the guitar at an early age and studied under the world-famous master of Flamenco guitar, Andrés Segovia. Becoming a recording artist in her early teens, Charo appeared in the Spanish film classic Don Juan Tenorio, and was featured in a children’s television show that brought her to the attention of famed Latin bandleader Xavier Cugat. Charo joined Cugat’s band and traveled to Las Vegas where the band played in all the major casinos such as Caesar’s Palace, The Flamingo, and The Tropicana. Charo is a household name and she is instantly recognizable for her witty humor, loveable accent, and her mastery of the Flamenco guitar. Charo’s trademark expression, “Cuchi-Cuchi”, has endeared her to the world. She has appeared in countless hit television shows, including more than forty-five appearances on The Tonight Show with Johnny Carson. Charo had appeared on The Love Boat series more than any other star. She has also guest-starred on Sonny and Cher, The Carol Burnett Show, Hollywood Squares, and The Surreal Life on VH1. Charo has appeared films such as Moon over Parador and The Concorde: Airport 79. In 2001, Charo headlined and produced “Bravo”, at The Venetian Hotel & Casino. It was one of the hottest shows on the Strip and was named Best Variety Show in Las Vegas by Time Magazine. Bravo ran for two years chalking up rave reviews and the near mythical achievement of two standing ovations per night. 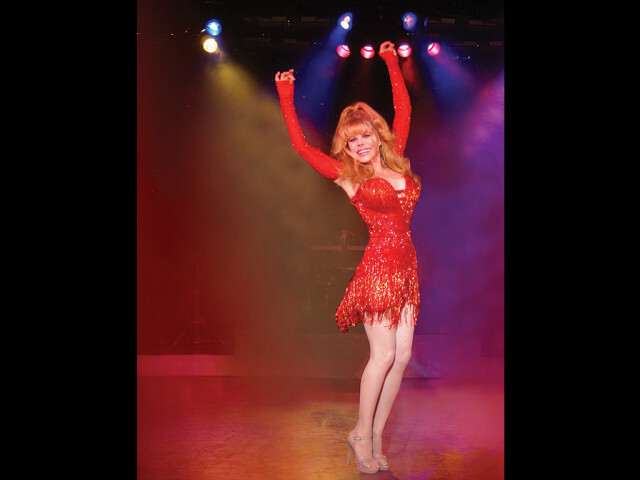 Charo performed her show, “Charo in Concert: A Musical Sensation”, at the Riviera Hotel & Casino in Las Vegas to sold-out audiences. Charo created and established a new bilingual salsa style: “The Charo Rhythm”, which has been emulated by other performers. In 2003, Charo received a Screen Actors Guild Award for creating the unique Latin Style. Her critically-acclaimed album, “Guitar Passion”, was named Female Pop Album of the Year at the Billboard International Latin Music Conference and reached platinum status worldwide. Always a star, Charo received the Key to the City of Las Vegas by Oscar Goodman in 2004 and was honored with the “Charo Week Proclamation” from the City of San Francisco in 2005. She has also teamed up with top-name DJs and producers who added their own dance mixes to her virtuoso guitar performances. Huge hits at dance clubs around the world earned Charo a 2009 World Dance Music Award Nomination. For a breathtaking performance of classical Flamenco guitar, and sparkling entertainment, Charo puts on a perfect show for any casino, night club, festival, or special event. Charo is an American pop culture icon who knows exactly how to entertain.